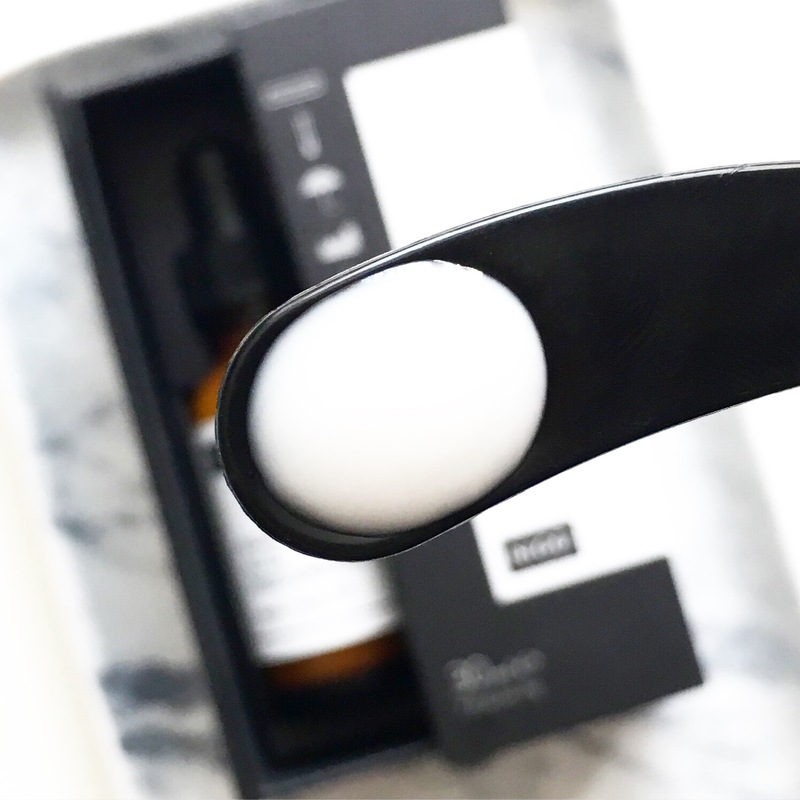 With NIOD releasing a slew of incredible new products over the past couple of months, it should come as no surprise that the brand have taken over my June Favourites. I love each and every one of these new launches and have been so excited to tell you all about them ever since they were released. Ingredients: Aqua (Water), Sapindus Mukurossi Fruit Extract, Stearic Acid, Arginine, Glycerin, PPG-26-buteth-26, PEG-40 Hydrogenated Castor Oil, Polysorbate 60, Sodium Polyacrylate, Acacia Concinna Fruit Extract, Balanites Aegyptiaca (Desert Date) Fruit Extract, Gypsophila Paniculata Root Extract, Trisodium Ethylenediamine Disuccinate, Sorbic Acid, Potassium Sorbate, Sodium Benzoate, Phenoxyethanol, Chlorphenesin. 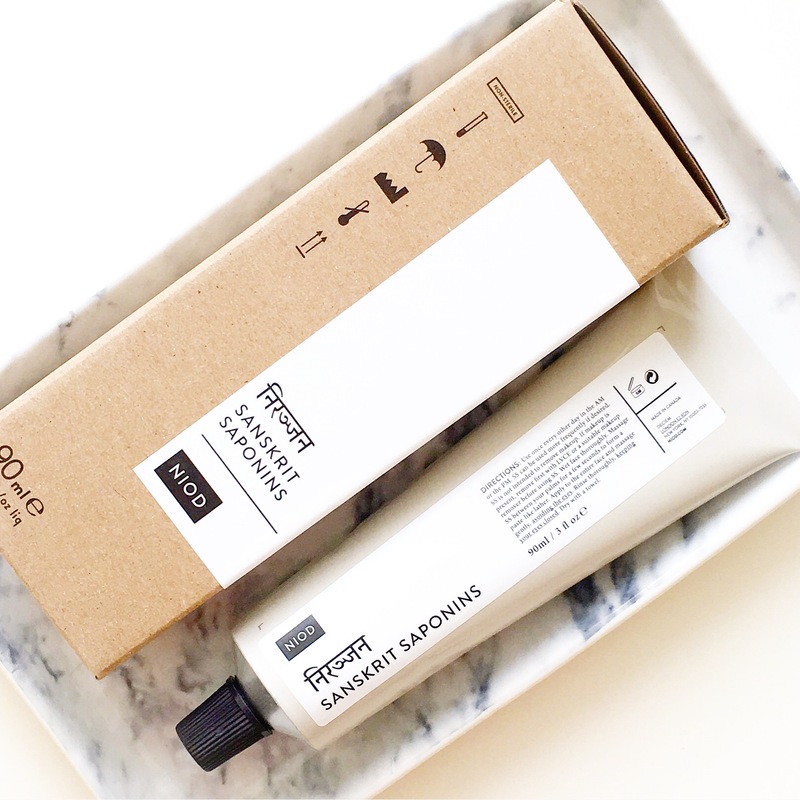 As with almost every product I have tried from NIOD, this new cleanser has quickly become one of my most favourite in it’s category. I have so many cleansers that I love and have used for years, yet somehow this has come along and completely surprised and impressed me by it’s effectiveness and how unique it is to everything else on the market. 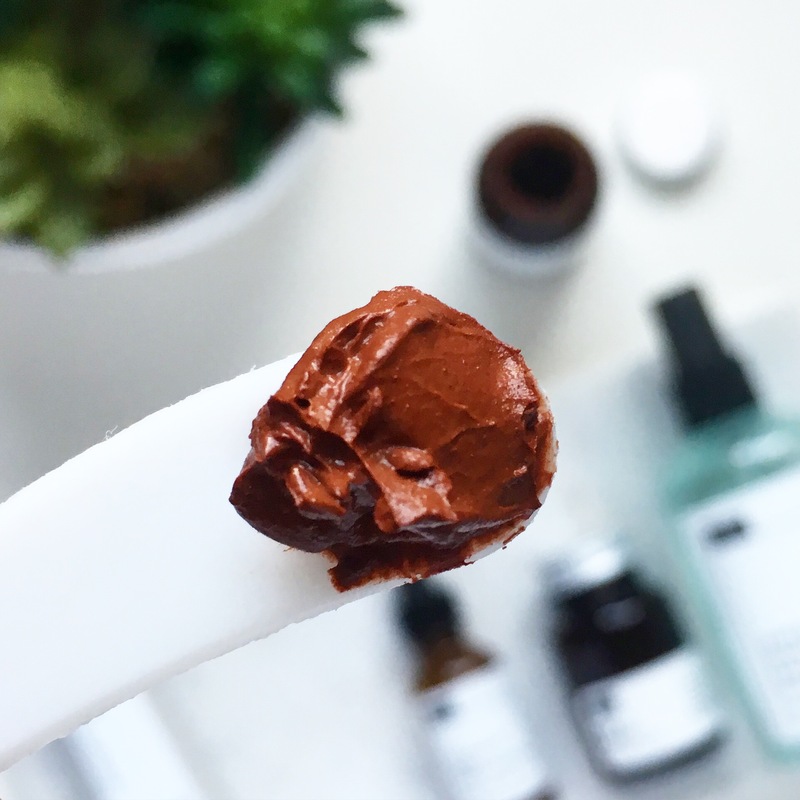 Sanskrit Saponins is described as a cleansing balm but the texture is light, smoothy and creamy and almost like toothpaste (but not as gelatinous). It has a lovely woody, nutty scent that reminds me of autumn (my favourite season) and I can’t help but love it even more because of that. What makes SS so different is that it uses Aryuvedic plant derived saponins that act as natural surfactants to deeply clean the skin without aggravating it. SS is all about maintaining and respecting the skin’s equilibrium, while also tackling congestion, blemishes, impurities and dead skin cells. 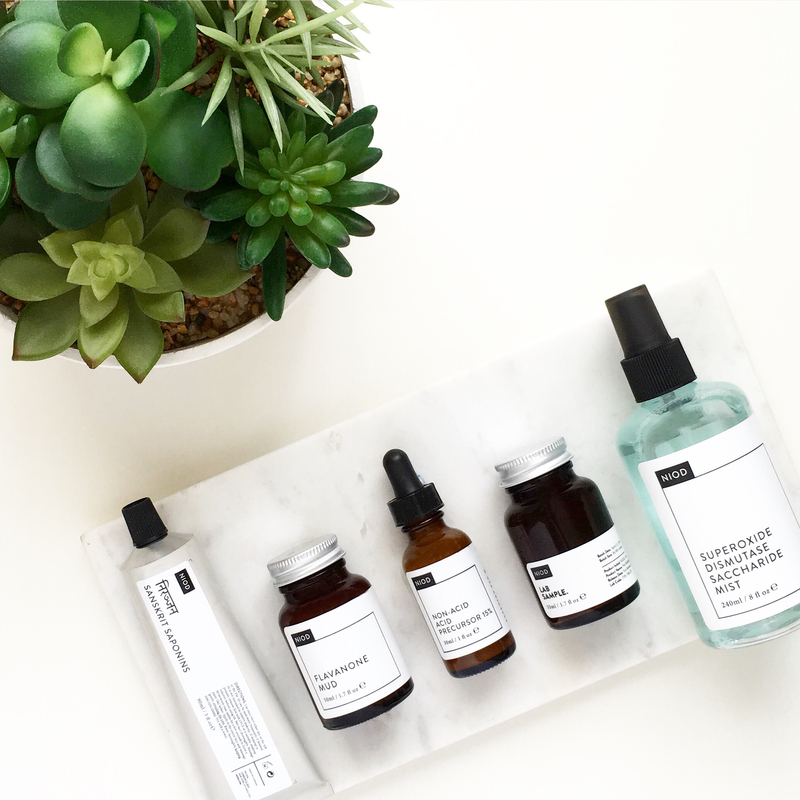 What’s interesting about NIOD’s approach to cleansing is they fully advocate the process of renewing the skin’s oil production in order to gently produce a “clean” and “refreshed” protective layer, that will ultimately keep the skin at it’s healthiest. This is such a novel approach to cleansing but one that fully makes sense to me and has really worked. SS deeply cleans the skin, refreshes the natural oil layer and refines the pores, all without being aggressive, stripping or creating imbalance. Since I started using SS almost 6 weeks ago I could not be more happy with what it has done for my skin. The pores are more refined looking and along with everything else, my skin has just been so balanced, calm and insanely smooth. SS is definitely suitable for everyone, although I think it would be fantastic for those with acne prone/combo/oily skin types. I use it as a morning cleanser (because it’s so pore refining) or as a second evening cleanse (it’s not for makeup removal) and I just apply a small amount to my wet face, massage for about a minute and then rinse. NIOD recommend using it every other day either in the morning or evening and I agree with that. It’s too intense for daily use and because it works so well you don’t actually need to use it every day. This is the first product in their new Yesti range, which is focused on learning from the past and creating products that honour and highlight the beauty in nature and history, and I can’t wait to see what’s next. 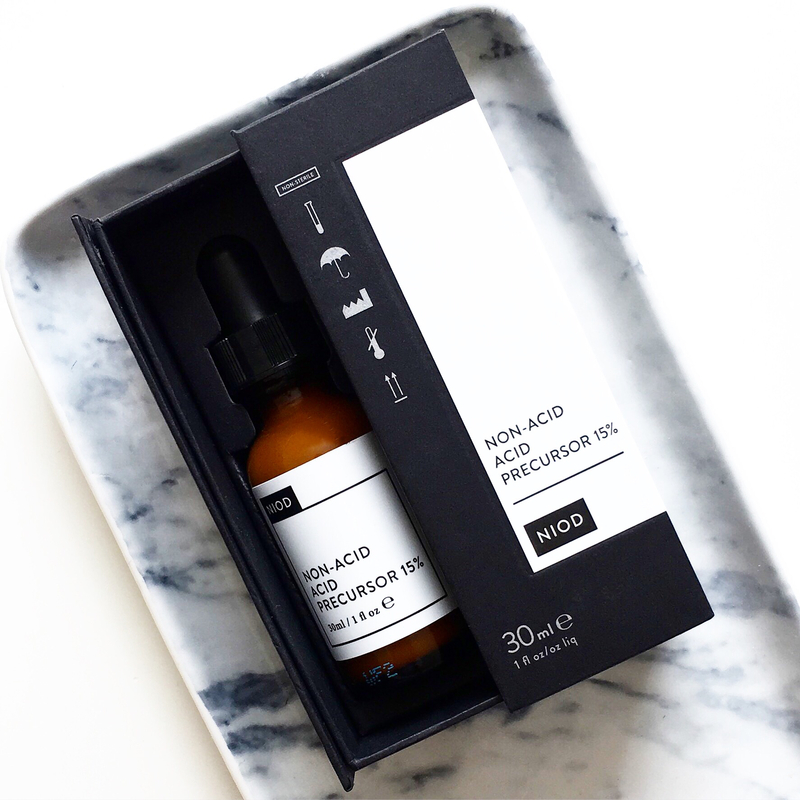 A phrase you hear a lot from me when it comes to NIOD is “new favourite” and this product is exactly that. 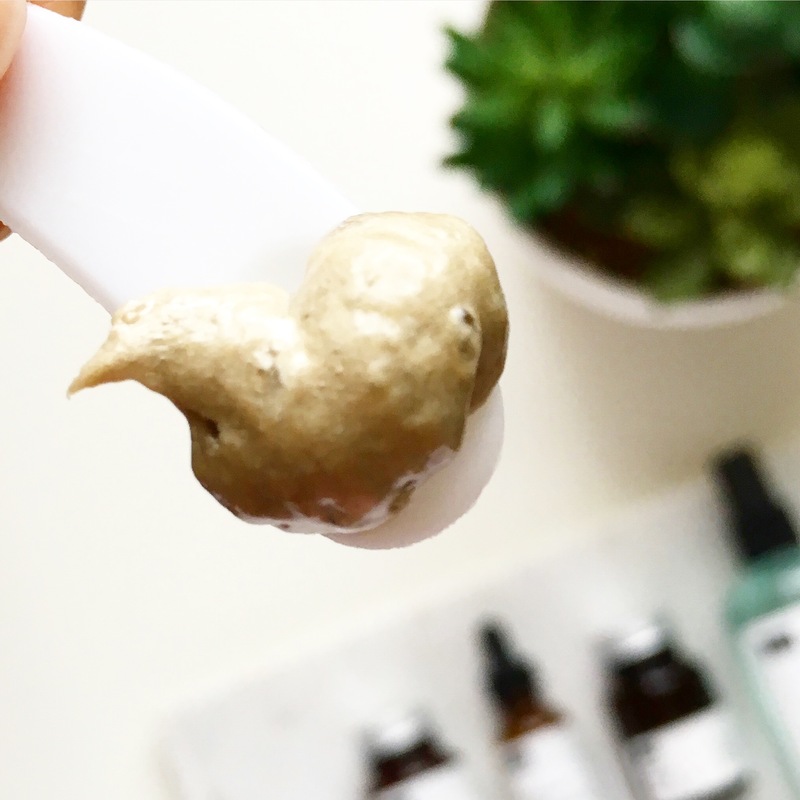 As with SS, Flavanone Mud has become one of my all time favourite masques and it’s one I instinctively reach for when I feel like my skin needs a little TLC. I wrote about it for the first time back in March (here) and since then I have used it maybe 10 times and have seen great results every single time. This is easily one of the most hardworking and results driven masks I own and it’s definitely one of those products where the more you use it, the better those results are. I used it for 5 days in a row to test the “accelerated” approach and looking back, I think it’s the reason my skin was so good that month. Whenever I use it now I leave it on for hours (the longest being 6) and there’s no dryness or irritation, just incredibly refined, smooth and soft skin. I only notice a mild tingling sensation when I remove it (and not always) but be warned that I know some who have experienced intense stinging, so please do a patch test before using it. For me, this is another “forever repurchase” product and my only complaint is the packaging. I have got to the point where I’ve used about 2/3’s of it and now I struggle to get the product out. The bottle is too deep (and dark) and the opening is too small, which means spatulas aren’t big or long enough to scoop product out but anything else is too big to get in there. I have resorted to using my finger (although clean, it’s still not ideal) but even that doesn’t work very well. I can’t get enough out in one go, which means I have to stick my finger in multiple times and then ultimately I end up with too much product. I’m all for uniform packaging but when it impedes how customers use a product I really think it needs to be looked at. This is in no way a deal breaker for me (the product is too good) but it does make the application process a bit frustrating and it takes a lot longer to apply than with other masks, so I’d love to see it in a more user friendly jar. Other than that, I cannot recommend this enough and if you suffer from frequent breakouts, congestion or inflammation then this is something you must try. I wrote about NAAP extensively when it first launched back in May (here) and since then it has become a staple in my stash. As all the details are in my previous post, I will give you an update on how it has performed over the past month since I started using it. As I said before, this product is intended to replace both acids and retinols and for me, I have really enjoyed using it instead of daily acids. It has really changed how my skin behaves and reacts and I no longer use traditional acids on a daily basis. My skin has been much happier since doing this, although the funny thing is, when I do use acids (Bravura 2% Salicylic Acid Peel once and the DDG Pads twice) the results were even better than before. Less dryness, less irritation and less “distruption” and I fully believe it’s because of NAAP. I definitely think NAAP could replace acids and retinols for a lot of people but for those who don’t want to part with either, I think it will work amazingly well at helping your skin “need” acids less, but also to get the most out of them. I have totally ditched daily acid toning and from now on will use acids once or twice a week, as and when my skin needs it. I know some of you have started using it in the morning and I love that idea because it works so well with other products and makes them that much more effective, which is what I was hoping would happen with acid toning, but it never quite did really. It’s interesting because my sister has been using NAAP every other day for a month with no acids at all (she never really used them before) and her skin looks AMAZING. I think if you’re new to acids or too sensitive to use the traditional ones then this will work brilliantly for you. 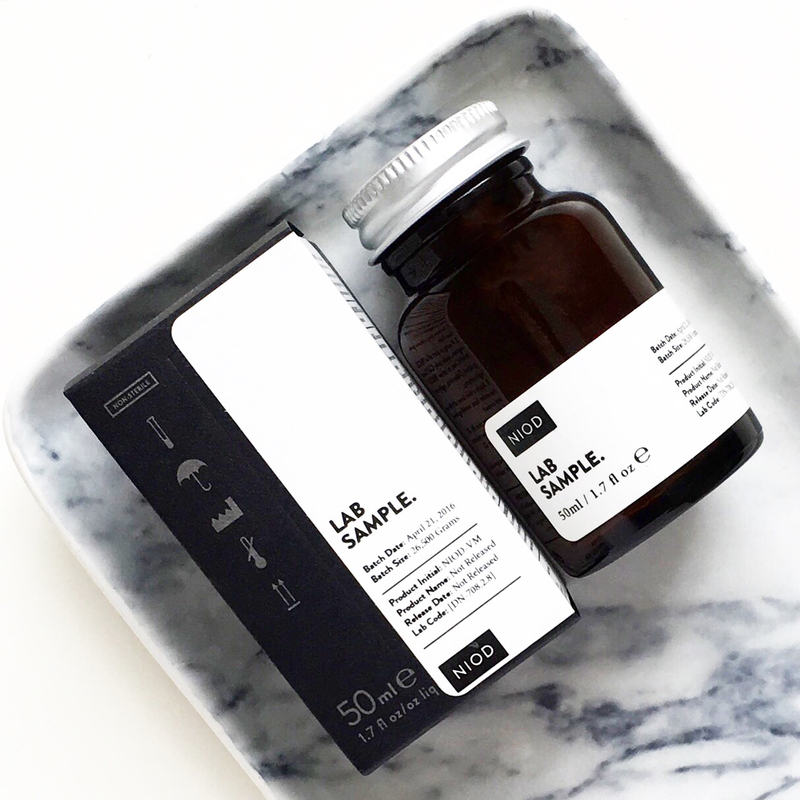 I think for skincare users like myself who have used acids regularly in the past, using just NAAP would mean an adjustment period before seeing the “OMG” results like my sister has had, so bare that in mind. I now use NAAP 3-4 times a week, retinol 2-3 times a week and then traditional acids 1-2 times a week and this setup has been working really well for me. Even though I have absolutely no information about this exciting yet very mysterious product, I just had to include it in my favourites because I love it! VM was a free pre-launch gift that Victoria Health sent out with the purchase of SS and ever since then I have been desperate to know more because it’s incredible. Voicemail is an overnight masque that uses “a suspension of isolated plant stem cells in a slow-penetrating, time-release film forming gel” to target dull skin tone and stressed skin. I’ve been using it once a week for just over a month now and I can’t get enough of it. It has a light silicone-y gel texture that doesn’t exactly fully absorb (hence film forming) or dry but it certainly isn’t gloopy or runny. The scent is so interesting – slightly woody and sort of smoky, which makes me so intrigued to know what the ingredients are. I apply this after cleansing, leave it on overnight and then rinse off the next morning. I absolutely notice a difference in how radiant and glow-y my skin looks after using this and I can’t wait until it’s officially released. It’s perfect for those night’s when you don’t have time to do a full on routine but still want to look like you “woke up like this”, because with VM you actually do. Sadly, I don’t think this will launch for a few more months but you can pre-order it from Victoria Health here. Ingredients: Aqua, Superoxide Dismutase, Pseudoalteromonas Exopolysaccharides, Mirabilis Jalapa Extract, Arginine, Propanediol, Glycerin, Butylene Glycol, Sodium Salicylate, PPG-26-Buteth-26, PEG-40 Hydrogenated Castor Oil, Citric Acid, Trisodium Ethylenediamine Disuccinate, Phenoxyethanol, Chlorphenesin. Of all the new releases from NIOD, this is hands down, 100% my absolute favourite. I have used it practically every day since I got my hands on it and it is something I won’t ever be without because it is one of the very best mists I have ever used. Yes, it’s that good. Superoxide Dismutase Saccharide Mist (SDSM) is a treatment product that you would use in your toner step, although it is much more than simply a toner or mist. SDSM works to protect the skin against dehydration, oxidative damage and most importantly, inflammation. 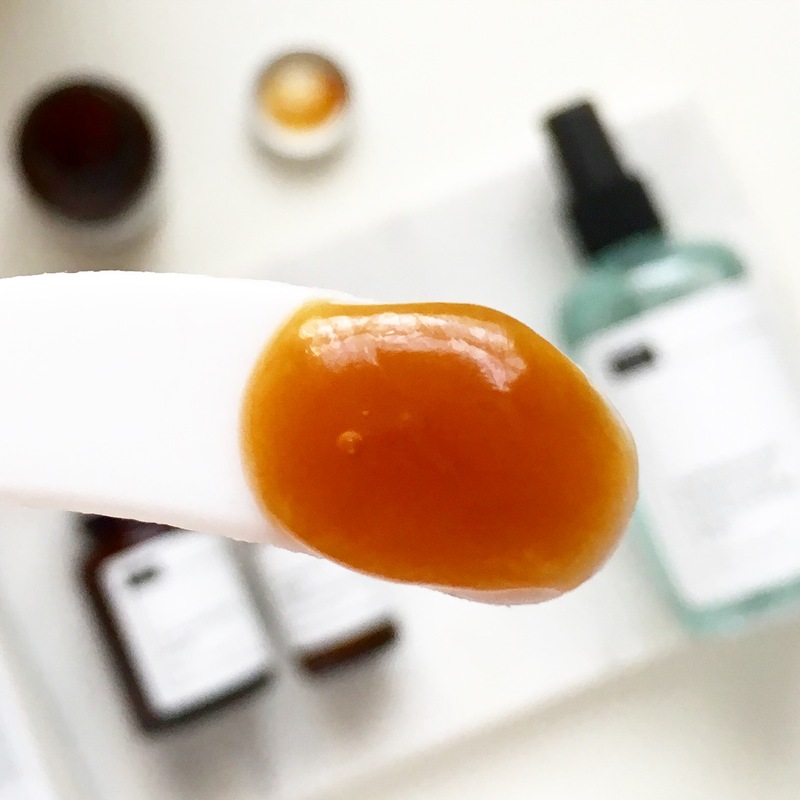 It contains a whole host of skin-loving, hardworking ingredients like Yeast-Derived Superoxide Dismutase (SOD), which “is the most important force against oxidation in the human body” and using it in this way is a skincare breakthrough. It also contains Marine Exopolysaccharides (35% hydration increase) and Purified North American Four O’ Clock Flower (anti-inflammatory Aztec plant), which support each other for a super anti-inflammatory and intensely hydrating combination. I use this as directed – after cleansing but before CAIS and without a cotton pad. I love that you can use this before CAIS because I think the two work amazingly well together and I love having that post-cleanse spritz back in my life. It has a very faint floral scent that disappears immediately but adds to the refreshing feeling of the mist. It’s incredibly light but doesn’t sink in immediately (there’s no alcohol) and it almost functions like an essence in that respect. I spritz liberally, apply CAIS and once I’m done both have been fully absorbed with no residue or tacky feeling left beind. I’ve only had SDSM for about 3 weeks and already it has made a tremendous difference to how my skin reacts and more importantly, heals, which has been such a help to me lately, as no amount of great skincare can stop my skin breaking out when I eat ice cream (boo). 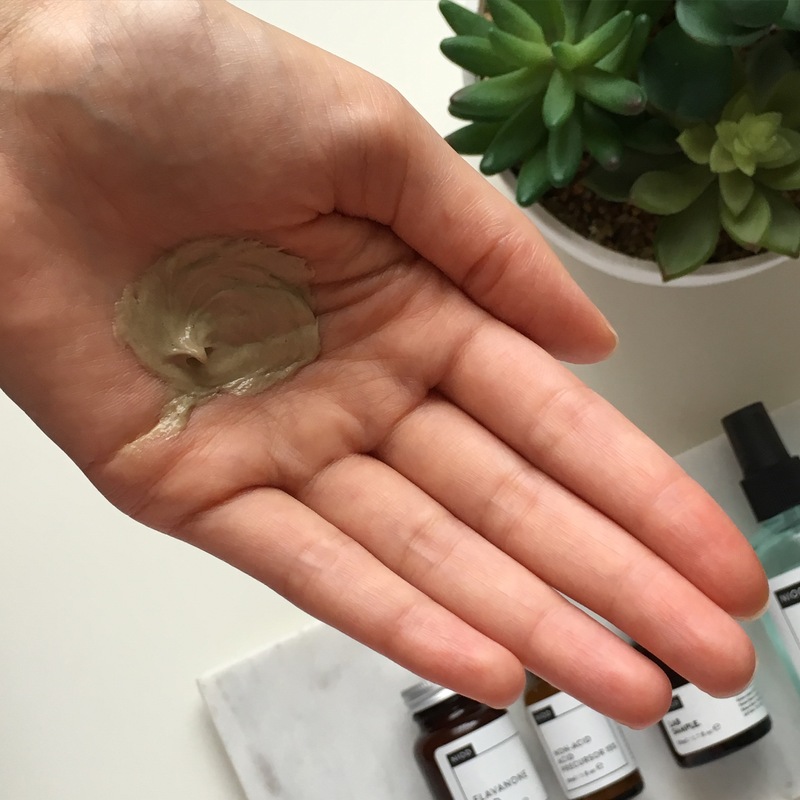 One of the things I love most about SDSM is how versatile it is – you can use it on your body, with the FM mask (or any mask) to refresh it, as well as increase the anti-inflammatory benefits or spritz throughout the day to treat and prevent damage. There is seriously no other product like it and if you have sensitive, acne prone, reactive or dehydrated skin (or like me, are all of the above), then this is for you. It could also be a great alternative for those who didn’t get on with CAIS, as it really is an anti-inflammatory powerhouse. People ask me all the time what product they should start with when it comes to NIOD and I always used to say CAIS but now I think it’s this because it would work for anyone and can be used in so many ways. 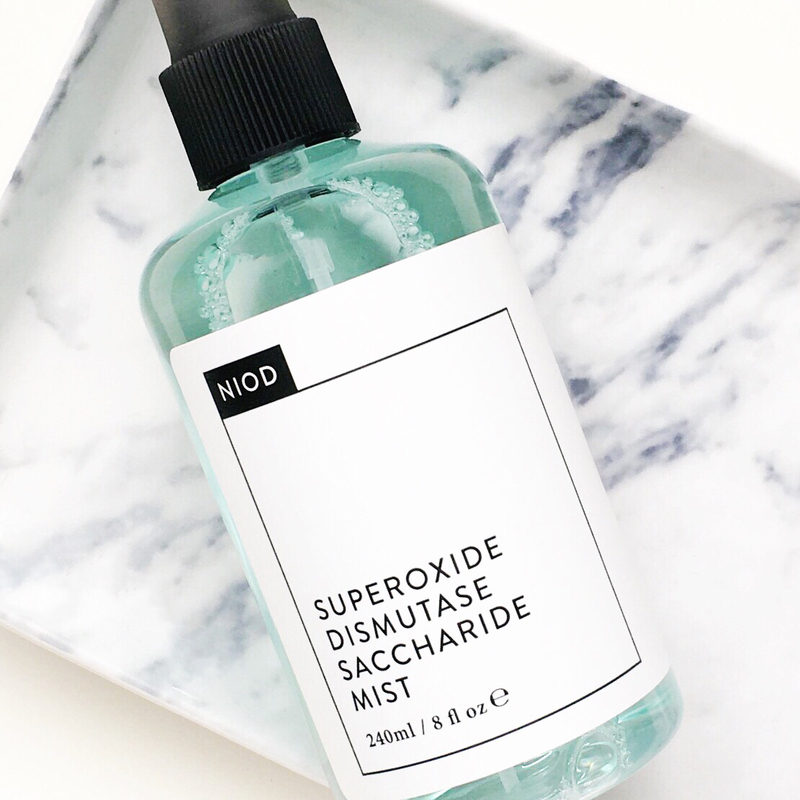 I have always loved toners and mists but SDSM has just taken that category to the next level, but I expect nothing less from NIOD. It has been such an incredible couple of months for NIOD and Victoria Health with all these new releases and if you can believe it, there’s still more to come so stay tuned! Disclaimer: All products except SDSM were purchased by me from Victoria Health. I have to re-read this blog post. Because …..
1. I am sooo getting some of these. Such a lovely and detailed review for the new launch of NIOD. I can’t wait to try them all. Thanks Arly for this. I really like your reviews, especially NIOD ones since is a brand that I’ve been interest since the first time I read about it. I finished a isotretinoin treatment 6 months ago and wanted to slowly try new products to fix the PIH and how dehydrated my skin is and NIOD seem to appeal to me. I wanted to start with dealing with dehydration first since PIH eventually fades anyway if I exfoliate, P50 non phenol version, which is surprisingly gentler than what I was using before. Living in a tropical humid weather and with hyaluronic acid ability to hold water from the environment I was considering buying MMHC and HV(not to sure about this one as I’m not to keen on silicone in general but if does work…) I like the idea of hydrating and then sealing it but I noticed very little reviews about those too in particular and wanted to know if you have tried them and how they did (if) worked for you. I know I will be slowly incorporating SS,SDSM, FM and CAIS,don’t want to try to many new things at the same time. After reading your posts I’m especially looking forward to SDSM and CAIS. What a wonderful and very informative post. Thank you very much for all the details about these NIOD products and completely agree with your point of view of those I already own. I have realized that I miss FM and NAAP so there’re already on my wish list. Thank you for the informational and detailed review! 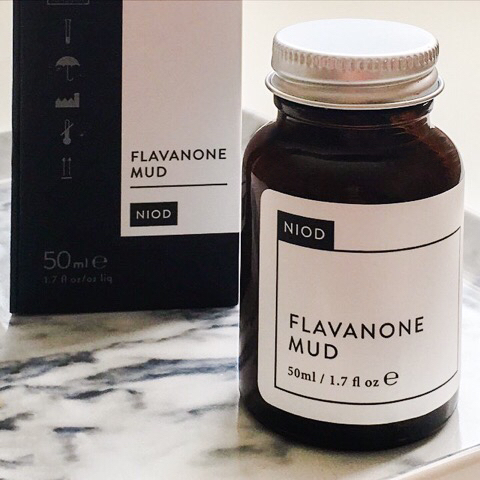 I love the NIOD products I’ve tried and FM goes now on the top of my wish list as I’ve been on the search for a new mud mask. Oh wow so many lovely products! I (still) have yet to open my FM… I recently have gotten numerous other masks that I’d like to try out first so I think I’ll get to it eventually. I had thought it would have that problem of getting the product out from deep in the jar, hopefully they will either supply a spatula long enough or change the packaging somehow with a wider mouth or something. SDSM sounds amazing, I have that on my to-buy list after my no buy! These really are such special products! I’m so glad this post was helpful but I’m so sorry you have been disappointed by so many green beauty brands! 😦 Which ones have you used and not liked? Oh and another disappointment was Infiore treate cleansing emulsion :(. It felt nice but i didn’t feel it had any effect on my skin . You are so welcome! NIOD really do live up to their claims so definitely check them out. I would really love two questions answering as I am now a devotee of niod…..I use PRESCRIPTION RETIN A at night….my questions :- can I use the ethylated 30% l’ascorbic vit C before or after Retin A at night, or should I use it a.m.?? Question 2:- if using all the NIOD products, masks, CAIS, MMHC,etc and my Retin A, should these be ALL I need for best skin health or should I be adding some of the Ordinary acids etc to my routine?? Thankyou very much.. I would recommend using the Vit C during the day or on alternate nights, so you’re not overloading your skin with too many high strength actives. If you’re using everything from NIOD (especially products like CAIS, SDMS, MMHC, Survival 0 etc) then the only thing you would really need from The Ordinary is possibly the peeling solution, but maybe not if you’re using Retin A, it depends on if you think you need more exfoliation than what that gives.